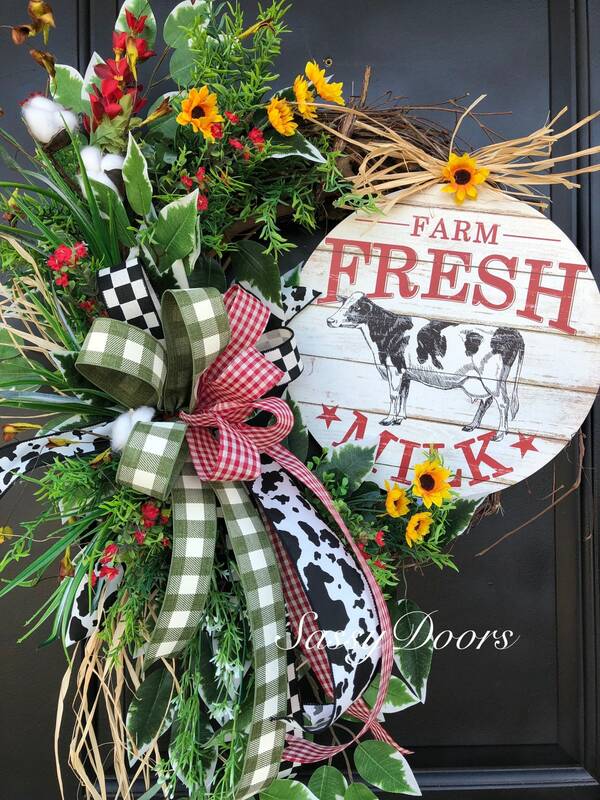 This delightful farmhouse wreath featuring Bessie the Sassy Cow! 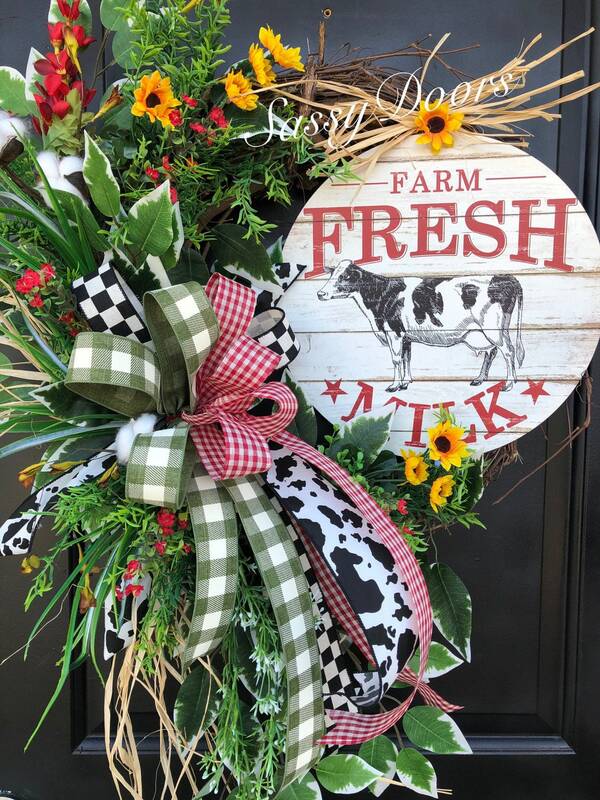 Surrounded in lots of , greenery grasses, tiny flowers and so much more. 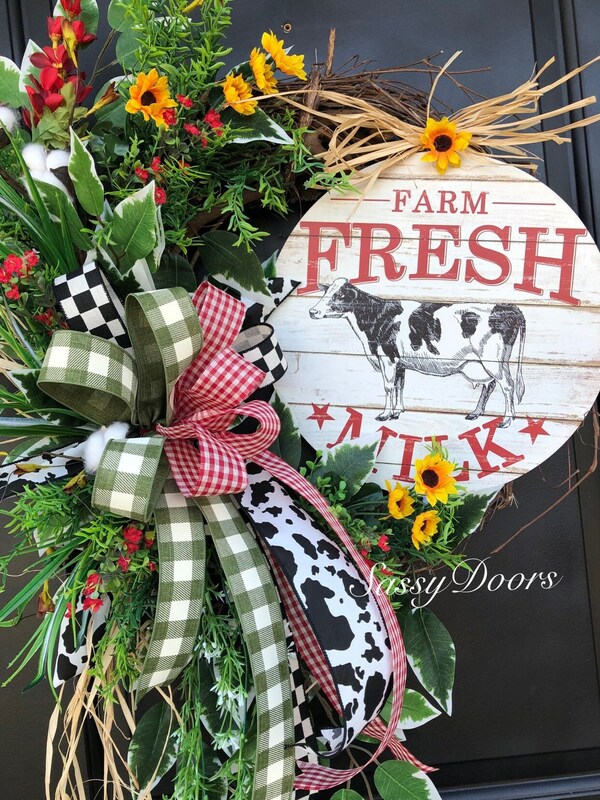 Accented perfectly with a variety of ribbons and bows to allow this trendy wreath to wow your door. 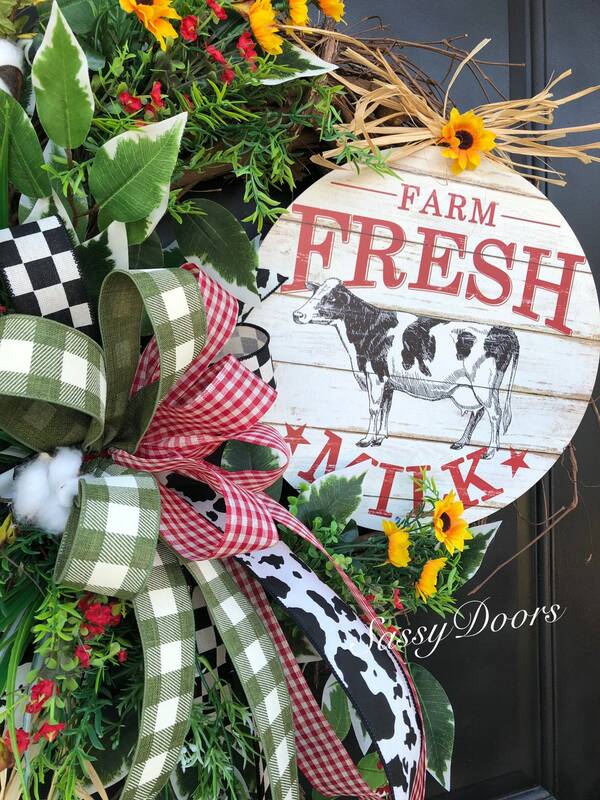 Let your Door be the envy of your neighbors and guest. 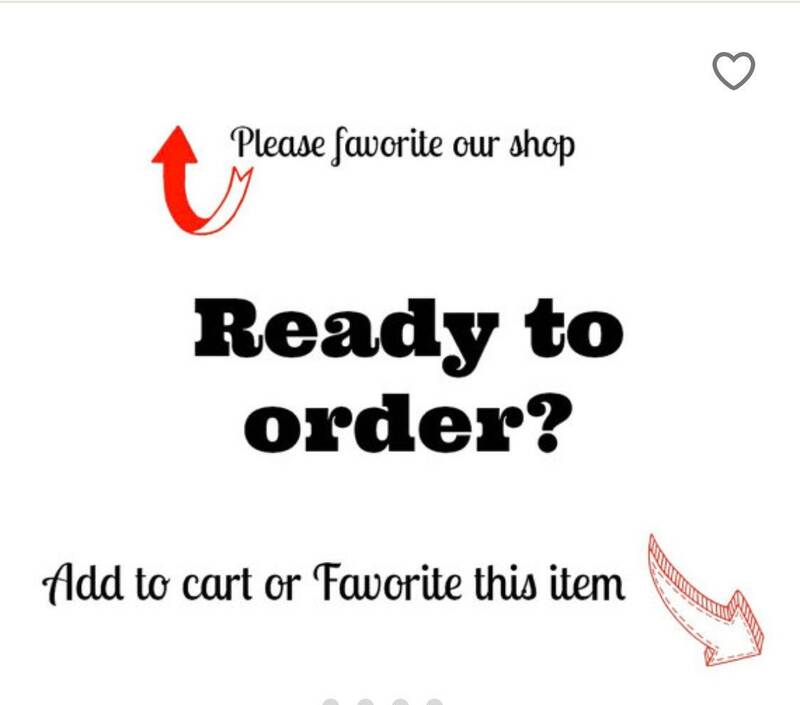 Please add to sellers note if you prefer a hanger on the back. Picking up locally? Use the code LOCAL to remove the shipping.